Have you ever been headed out the door with your hands full, wondering how you’re going to juggle all of your stuff from the house to the car and then into the office? With a tote bag, those worries are no more. If you have a good tote bag in your life, you know that they can hold everything. And we mean everything. With their spacious interiors, exterior zippered sections and hidden pockets all throughout, there’s no shortage of things that a big tote bag can hold. While purses or backpacks are perfectly sufficient in their own ways, they each have their specific uses. A purse has the convenience of being right by your side but has just enough space for the essentials. And a backpack, on the other hand, has plenty of space but can’t be accessed as quickly as a bag that sits by your side. Enter: Rank & Style’s best tote bags. The perfect bags that combine the best of both worlds by providing spaciousness, quality, and convenient access. So, where can you wear your tote bag? The answer is pretty much anywhere. Anytime you need to carry all of your stuff in something bigger than a tiny crossbody, a tote bag is a handy solution. Maybe you’re at the office most days and need a good tote bag for work to carry your laptop, your lunch and all of the other workday necessities. Or maybe you’re a frequent flyer and need a spacious tote bag to travel witht—one that keeps all of your airplane must-haves in one place. And if you’re a busy mom? A tote bag for mom is the ultimate way to haul all of your kiddo’s stuff and keep you prepared for the daily situations that may come up. But when it comes to a tote bag, don’t feel limited to using one strictly for business or special circumstances. With the number of things totes can carry, these bags are also ideal for everyday use. 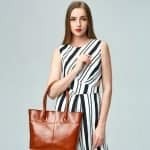 Whether you’re looking for a canvas tote to haul your gear to and from the gym, or a designer tote bag to glide around town in style, a top-reviewed tote bag deserves a spot in everyone’s closet. When shopping for a tote bag, it’s important to think about your lifestyle and take into account the ways in which you’d find a tote the most useful. 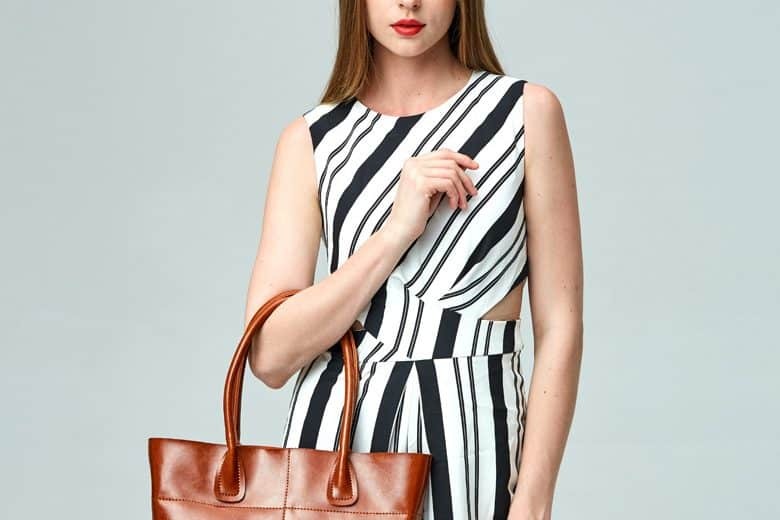 If you’re looking for a professional women’s bag or the best work bag, a leather tote or fashionable designer tote bag is probably the ideal option for you as they both combine form and function. 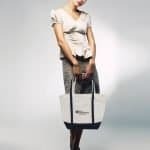 On the other hand, if you’re in the market for a gym bag or diaper bag, something that does the job and is less focused on aesthetics, a canvas tote bag might be what you’re looking for. You will also want to factor in the shoulder straps when shopping for a new tote bag. Make sure the straps are long enough to wear over your shoulder but not so long that the accessory will drag along the floor if you choose to hold it by the handles. No matter what must-haves make up your ideal tote, each and every tote bag on our list has its uses and perks—it’s just a matter of figuring out what works best for you. In order to bring you the very best tote bags to shop from, we turned to our data-driven algorithm. 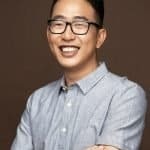 The Rank & Style algorithm scours the internet to find and select the best products based on user reviews, best seller lists, editorial mentions, and social buzz. That means the bags you’re about to see are hands down the best—they’ve been objectively chosen and represent the facts of the matter. Our goal is to make it easy for you to shop for a new bag. We take the search out of online shopping by gathering all of the best options for you to peruse in one place. Whether you’re new to the world of tote bags or you’ve been riding the tote bag train for years, it’s time to find yourself the newest and best tote bag to write home about. Keep calm and carry on with the best totes of 2019 women love for all your needs with a few quick clicks!